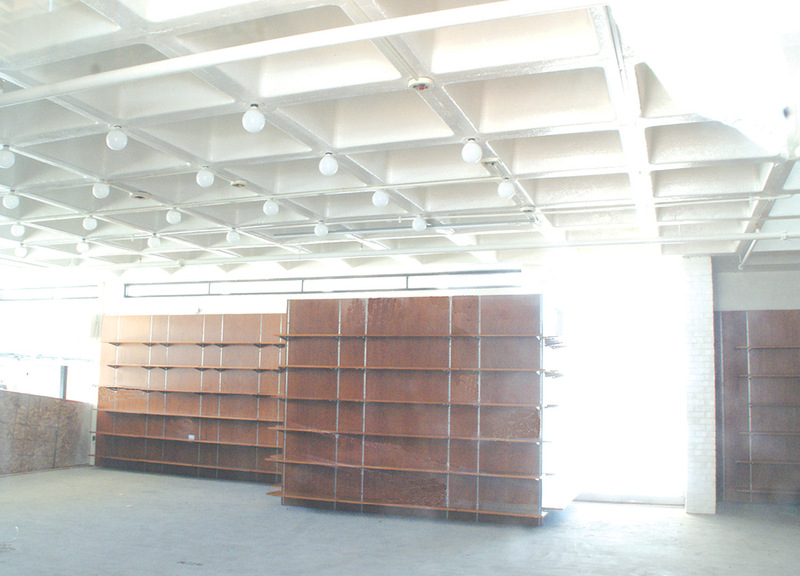 In this through-the-window photo of the library’s non-fiction room, the ceiling lights and shelves are in place. The new glass ramp sidewalls are protected by plywood, and the floor appears ready for its carpet. The grand opening has not yet been scheduled, but progress in the Kent Memorial Library building was reported to be “moving right along,” and the goal has been set for the building work to be complete by the end of April or early May so the librarians can complete the job of moving back from Ffyler Place. It’s not at all clear how long it will take the librarians to arrange the books in their places on the shelves, but it will probably be several weeks. A brief gap in library service seems inevitable. As of early March, all the lights had been reinstalled, along with most of the shelves. The final amount of shelving will be somewhat less than before, in keeping with modern attitudes about digital media. The library hopes to offer study carrels in the future. And the function of the library as a digital access portal grows all the time. Suffield contractor Brian Doyan has done most of the carpentry, and there have often been several trucks from Bloomfield Electric Company (which, surprisingly, is in Glastonbury), reinstalling and upgrading the building’s wiring. In that area, the recent merging of the Town and school information technology departments has allowed Rebecca Osleger, who has been the IT director for the school system, to help plan the improved digital connections for patrons’ needs and the library’s operational systems. The contractor for the PCB remediation, AAIS, has still been involved, and all the work has been under the purview of project manager Craig Schoner for the Town. On a more concrete matter, a big transit mix truck was present in late February dispensing wheelbarrow loads of mix for necessary floor patches in the old bathrooms, the auditorium, and the director’s office. The contract for renovating the bathrooms to modern standards was about to be given in early March. When the new auditorium carpet is laid, the new seating, which was delivered some time ago, will be installed. More carpeting and other flooring is on the way. At the March 8 Selectmen’s meeting, Library Director Jackie Hemond asked the Selectman to restore the extra $30,000 for book purchases that had been budgeted after the books stored on site during the 2016-2017 restoration work, with plastic wrapped around the shelves, were unwrapped before the airborne PCB contamination was discovered and had to be discarded (an estimated 40,000 books). The $30,000 has been removed from the proposed 2019-2020 budget. Her plea was unsuccessful. Director Hemond plans to restore the collection more gradually.